We finally got our long-awaited vacation last week - a camping trip to Southeastern Virginia - though the weather was still much cooler than usual for this time of year! We did get a couple of nice days, though. We stayed in two state parks: Twin Lakes and Staunton River. Both were beautiful and mostly deserted at this time of year, especially in the middle of the week. We enjoyed hiking, kayaking (on the one day it was warm enough! ), and exploring a few small towns. Some good food, too, but I will save that for another post. Here are some highlights from our trip - click any photo to see it larger sized. A Bit of Blue Sky & New Green Buds Though Still Looks Wintry! A Bit Further South & More Green at Staunton River SP! Hope you are enjoying a wonderful weekend! Lots of catching up to do here. Happy Friday! I am almost caught up on my e-mails after last week's vacation - down to less than 100! It's been a busy week of catch-up and writing. No time for a review today, so I thought I'd share two travel articles I wrote that were recently published. Although I love writing about books and am enjoying my freelance work in that area, and I sometimes write about chronicle illness, I want to do more travel writing in the future - preparing for when my husband retires in two years, and we hope to travel more. Nebraska's Stonehenge, an Around the Bend article for Trailer Life magazine's March 2018 issue about Carhenge, a very cool and unique roadside attraction - classic Americana! In Delaware's Defense, an Unexpected Mid-Atlantic article for AAA World, Mid-Atlantic edition, March/April 2018, about Fort Miles, a strategic WWII fort in southern Delaware. Look for another travel post tomorrow, with photos from last week's vacation to southeastern Virginia for Saturday Snapshot. 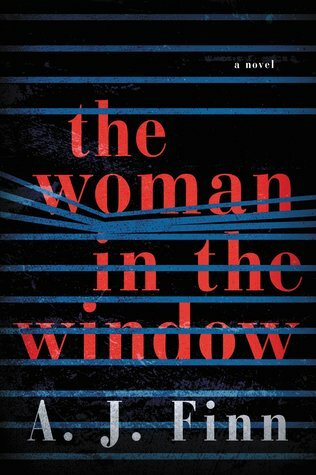 I've been hearing rave reviews of the best-selling psychological thriller, The Woman in the Window by A.J. Finn, so I was excited to give it a try. 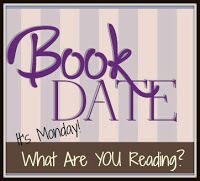 My husband and I listened to the audio book on our road trip to Virginia last week and just finished it Monday night. 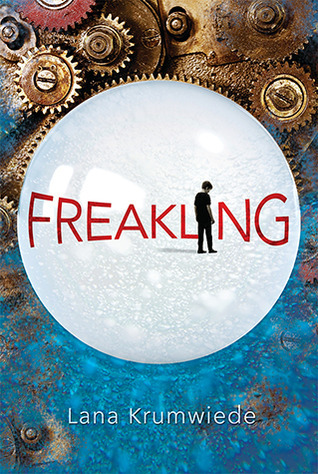 We both enjoyed this suspenseful story that kept us guessing (mostly wrong!) until the very end. Anna hasn't left her house in Harlem in 11 months. The reader/listener doesn't know exactly why, just that there was some kind of an accident, and now Anna is alone, with her husband and beloved daughter elsewhere, though she talks to them almost every day. Other than that, her only visitors are her therapist and physical therapist, but she stays busy online playing chess and helping others also suffering from agoraphobia in an online support group, since Anna herself used to work as a child psychologist. Anna's other main form of entertainment is watching her neighbors from her window, with the help of the zoom lens on her camera. She is particularly interested in the new neighbors that just moved in across the street: Alistair, Jane, and Ethan Russell. Both Ethan, a teen boy who is homeschooled, and Jane have come to visit Anna separately, and Anna likes them both. Then, Anna sees a horribly violent scene at their house from her window. She reports it to the police, and they investigate, but no one believes Anna. After all, she drinks heavily, is taking piles of pills every day, and appears very unstable. The police try to convince her that she hallucinated the whole thing. So, what's the truth? Did it really happen? Did Anna imagine it? What is really going on across the street? 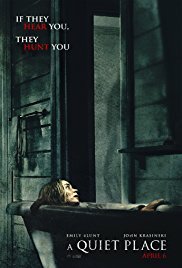 As you might have recognized, this story is loosely based on the same sort of concept as Hitchcock's film Rear Window, and the author is a fan of classic noir films and imbues Anna with that same interest. The novel is filled with references to the black and white thrillers Anna is always watching, upping the tension of the story. My husband is one of those people that always guesses the ending to suspense and thriller books and movies - and he's almost always right - but this one stumped us both! 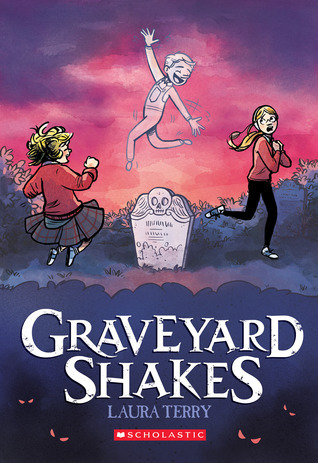 There are lots of twists and turns in the plot and many unexpected surprises that keep the suspense level high. My husband also sometimes gets impatient with audio books on our trips, but this one kept his interest (and mine) from start to finish, and anytime we hopped in the car for even five minutes, we were listening to it! This dark and intricate thriller will keep suspense fans rapt. Listen to a sample of the audio book of The Woman in the Window here. Or order The Woman in the Window from Book Depository, with free shipping worldwide. As regular readers know, I enjoy watching more girl-centric TV shows when I am on my own at lunchtime. My latest obsession is a new NBC show, Good Girls, about three suburban moms gone rogue. 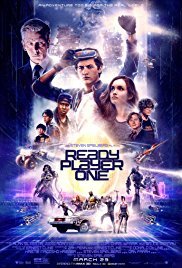 It's a unique plot with a great cast, and I am loving it. Christina Hendricks, well-known for playing Joan on Mad Men, is Beth, an overworked mom of four kids who has devoted her life to her family. In the first episode, she finds out that her husband's been having an affair with a woman at his car dealership and that his midlife crisis has cleared out the family's bank accounts so that they are now in serious debt. Beth's younger sister is Annie, played by Mae Whitman who is known for her role as Amber on Parenthood. Annie is divorced and shares custody with her ex of their young daughter, Sadie, who dresses like a boy. Her dad and his new wife have threatened to sue for sole custody, so Annie is also in dire financial straits, needing to hire a lawyer to fight for her daughter. Rounding out the trio is Ruby, played by Retta (best known for her role on Parks and Recreation, though I know her from The Girlfriend's Guide to Divorce). Ruby is happily married and has two kids. She works at a diner, and her husband works as a security guard, so their money is already stretched thin, but now their daughter needs an expensive medication for her kidney disease. These three very desperate friends decide they are desperate enough to do something crazy - rob the grocery store where Annie works. As you might have guessed, nothing goes according to plan, and their one night of crime turns into much, much more. This is such a fun show. It deals with some serious issues and family drama but mostly in a light way. The women's escapades - which grow out of control into something they never envisioned - provide plenty of suspense but also lots of laughs as these normal moms try to act tough. I love all three of these actresses, and they are great in these roles, playing off each other. It's wonderful to see a show like this that puts a spotlight on women's friendship (even though they are leading a life of crime). There are always surprises in every episode, and I look forward to watching each one. 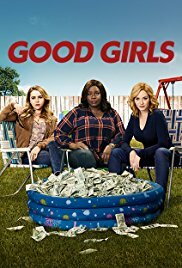 Good Girls is currently airing on NBC, Mondays at 10 pm Eastern, but I don't watch anything live anymore! Nine episodes have aired so far, and the tenth and final episode of season 1 airs next week. I am up to #7 so far and still loving it. All episodes from season 1 are available On Demand if you have cable or on the NBC website for free. It is also available on Amazon for $1.99 an episode or $16.99 for the entire season. 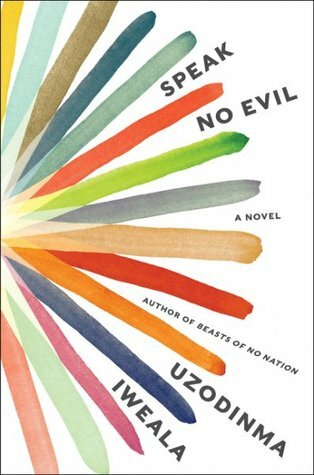 I recently reviewed the novel Speak No Evil by Uzodinma Iweala for the Shelf Awareness website. 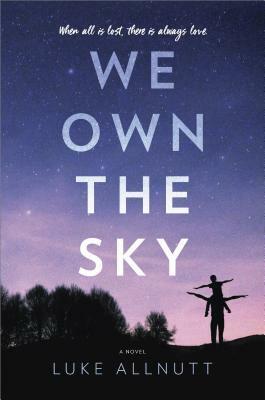 You can read my full review of this powerful, moving novel at this link. Uzodinma Iweala is the author of the critically acclaimed Beasts of No Nation (made into a Netflix film), which I've heard of but haven't read (or seen). Now that I've seen what a talented writer he is, I want to go back and read his earlier work. Speak No Evil is a short but compelling story of two high school friends at a prestigious private high school in Washington, DC. Niru was raised by strict and religious Nigerian parents. He's the school's top track star and has already been accepted to Harvard medical school, but when he finally admits - to himself and his parents - that he's gay, his life falls apart. Meredith, his best friend, encourages him to follow his heart and his true nature, bit there are serious consequences to that path. 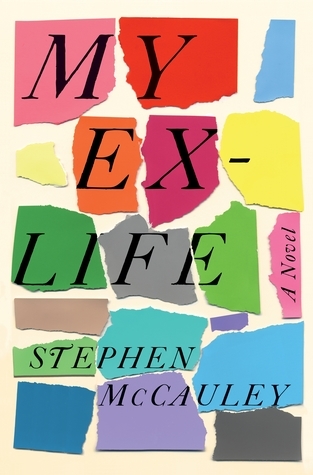 This novel is a heartbreaking personal story about the two friends, but it also delves into important issues involving race, sexual orientation, religion, and immigration. It's a big story in a small package, and I was captivated by it. 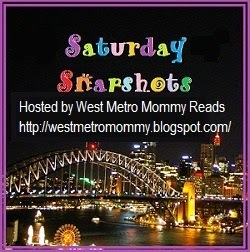 Check out my full review at Shelf Awareness. I'm curious about Uzodinma Iweala's earlier novels - have you read any of them? 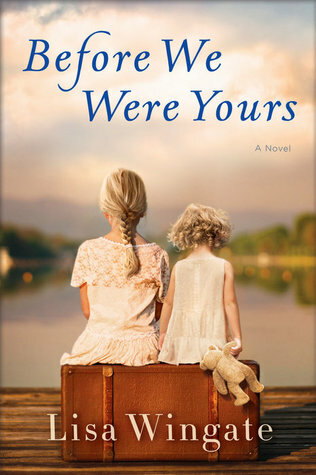 I just finished reading the best-selling novel Before We Were Yours by Lisa Wingate, and I couldn't wait to tell you about it. 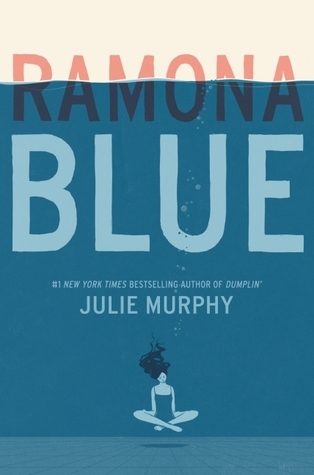 This truth-is-stranger-than-fiction novel grabbed me by the heart and never let me go. In fact, as soon as I finished it, I looked up more information online about the true story behind the fiction. Twelve year-old Rill lives with her three younger sisters and two-year old brother on a shanty boat in the Mississippi River with her mother and father, affectionately known to all the kids as Queenie and Briny. They don't have much, but they all love each other very much, and the river provides for them, even during the depths of the Depression. When Queenie goes into labor for her twins too early and Briny has to take her in the johnboat across the river to Memphis to a hospital, Rill is left in charge of her siblings. Everything is going fine until police and other strangers arrive where they are tied to shore and cart all the children off to one of the orphanages of the Tennessee Children's Home Society. Amidst abuse and mistreatment, Rill tries to protect her younger siblings and keep their family together. In the present day, a young lawyer named Avery Stafford has returned to her family home in South Carolina. Her father, a powerful Senator, is fighting cancer, though that fact is being kept from the public. Avery is there to help care for her father and also to prepare to possibly step into his role if needed, to keep their family's political dynasty alive. While there, Avery meets someone by chance who makes her begin to wonder if her family might have some long-kept secrets. Worried there might be a hidden scandal that could harm the Staffords, she begins to investigate, never guessing where her inquiries will lead. In the early chapters of this novel, as I read about Rill and her siblings being illegally torn away from their parents and put up for adoption, I thought to myself, "This is just too horrifying - it's not realistic." 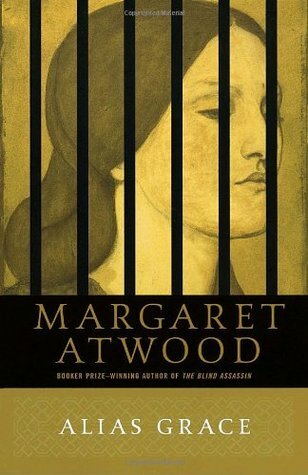 So imagine my shock when I found out that part of the novel was actually based on the real-life story of Georgia Tann, director of the Tennessee Children's Home Society, who stole children from poor families and sold them for outrageous sums to wealthy parents desperate for children from the 1920's through the 1940's. That makes this novel all the more gripping and stunning. The story pieces together Rill's story bit by bit, with action moving from the past to the present, weaving together disparate threads until they finally come together. 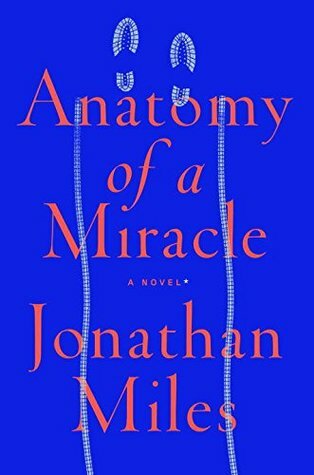 Almost every member of our book group enjoyed this novel, and we had a good discussion about it last night, much of it focused on the real-life story behind the novel. Even though you kind of have the gist of the story from the beginning (it is, after all, based on real history), most of the characters in the novel are fictional, and some of the connections between past and present are only revealed toward the end of the book. Most of us were captivated by the story and characters. 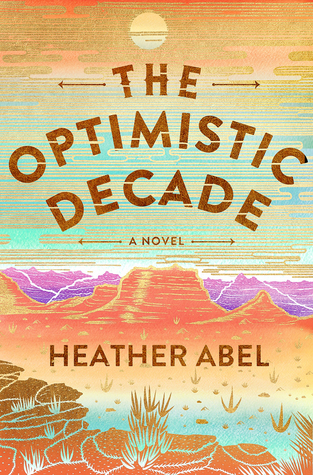 Overall, our group rated the novel 7.6 out of 10 (which is high for us) and several people (including me) rated it a 9. This gripping, moving story about a little-known historical horror kept me glued to the book, until I finished it in record time. Listen to a sample of the audio here (I think this would be great on audio). Or order Before We Were Yours from Book Depository, with free shipping worldwide. My First Shelf Awareness Column: Spring Has Sprung! I just wanted to share with you one of my new freelance writing jobs: writing From My Shelf columns for Shelf Awareness' twice-weekly newsletter. So far, I have been writing about two columns each month, so these will be appearing regularly. My first column, Spring Has Sprung, was published in the April 6 issue - you can read it at the link. It's a round-up of five different books (both fiction and memoir) related to spring to put you in the mood for this season of renewal and hope! I really enjoy writing these kinds of columns where I can share a bunch of my favorite books on a related topic. I previously wrote a monthly book column like this for Vital! magazine. I won't post every column I write here on the blog, but you can sign up for the Shelf Awareness newsletter yourself (see the sidebar at the link), and I will also post my columns on Facebook and Twitter. I have also begun writing author interviews for Shelf Awareness, which I am loving so far! It's like having my own private book group meeting with an author after reading his or her book. The first of those will be published in May. Hope you are enjoying spring! Word is that it might finally warm up above the 40's here today!